The best way to reach Limerick is to fly to Shannon Airport, located 20km north of Limerick City. Scheduled flights arrive daily at Shannon from several European and US locations providing a convenient hub facility. You can also fly into Dublin Airport or Cork Airport and then reach Limerick by car, bus or train. 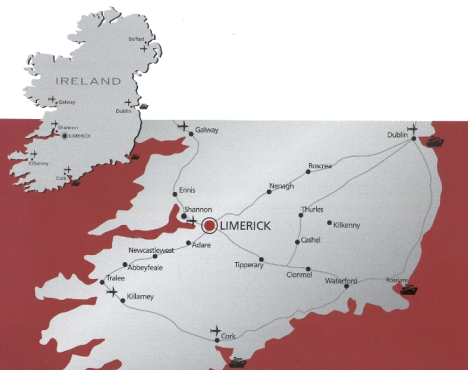 Limerick is also within easy reach from Cork Airport, with regular Bus Éireann and Irish Rail services connecting Cork City to Limerick.